If you suffer from anxiety, either in a specific situation or generally, then hypnosis is worth a try. All our hypnosis downloads are based around a deeply relaxing experience which in itself is the opposite physical state to anxiety. Then, you will be guided to use your imagination to lower your anxiety levels and decondition any previous anxious patterns. Habitual anxiety, or generalized anxiety disorder as it's sometimes called, is often caused by long-term habits which can take a little longer to unpick. But regular deep relaxation can 'reset' your nervous system's baseline so that you remember how it feels to be relaxed on a daily basis. 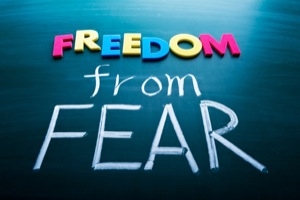 Using hypnosis for anxiety is quick, effective and you can use it whenever you need to. Browse the sessions below to find which sessions apply to your specific situation. Do you worry about needing to be near a bathroom a lot? Hypnosis calms your thought patterns and helps you move past that false sense of "needing to go"